Providing heat and cold-shrink product solutions that offer a comprehensive range of environmental sealing products. 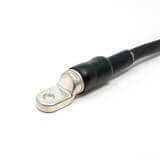 Medium and heavy-wall tubing is used in a variety of applications to seal and protect wire and cable connections. For general purpose sealing and cable re-jacketing applications, CFM, a medium-wall tubing, is available in expanded tube diameters up to 9.0 inches. Combined with the superior bonding properties of the hot-melt adhesive, CFM provides a watertight seal to cover the largest application range offered in the industry. Medium and heavy-wall tubing can be installed to prevent metal-on-metal surfaces from corrosion. Dual-wall tubing is used to prevent moisture ingress in all outdoor environments. 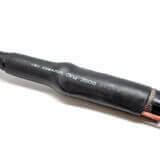 This heavy wall heat shrink tubing provides maximum reliability for insulating and protecting cable joints and terminations. 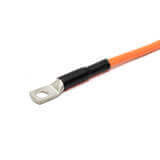 This heavy wall heat shrink tubing insulates and protects electrical splices and terminations where maximum flame retardancy and exceptional insulating and sealing characteristics are required.